Atrial fibrillation is an irregular arrhythmia that originates in the atria (top chamber of the heart). AF is an extremely common arrhythmia worldwide—occurring in greater than 80% of the aging population. More than 5 million individuals in the United States have atrial fibrillation. The left atrial appendage is a small, ear-shaped sac in the muscle wall of the left atrium. In atrial fibrillation, blood becomes stagnant in the appendage and becomes a source of clot formation. Clots from the left atrial appendage can embolize and result in strokes. The annual risk of stroke from the left atrial appendage has a cumulative affect and increases almost linearly with time. Historically the only method of preventing strokes from AF has been to place patients on anti-coagulation with drugs such as Warfarin (Coumadin), Xarelto, Eliquis, or Pradaxa. Unfortunately these drugs have a significant risk of internal bleeding associated with them. For decades a variety of surgical strategies have been explored to close the left atrial appendage and minimize the risk of stroke from AF. Most of these strategies, however, are quite invasive and have met with sub-optimal clinical results. Over the last approximately ten years, two minimally invasive strategies have been successfully developed for closing the left atrial appendage and have demonstrated in clinical trials to successfully eliminate the need for blood thinners. They are the WATCHMAN™ LAAC Device and Lariat procedure. Heart disease is more lethal to Americans than any other health condition (including cancer), and it has been for years. (See: more information ) Billions of dollars per year are spent trying to reverse its affects, from expensive medicine to expensive surgery. Most hear or read a short blurb about heart disease and immediately their eyes gloss over or their ears close, most except the 1,255,000 Americans who had a heart attack in 2010. The data is clear: a lot of people die of heart disease, specifically coronary artery disease every year – AND it’s largely preventable. Coronary Artery Disease (CAD) is often defined as a narrowing of the blood vessels that supply blood and oxygen to the heart itself. 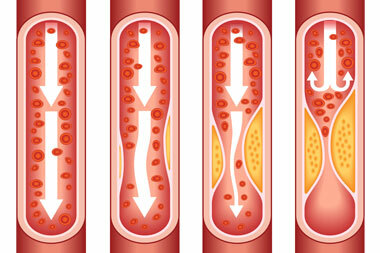 This narrowing occurs because many people eat foods that clog arteries, specifically those high in cholesterol or fat. Our bodies break down the food and these smaller particles are circulated through our blood stream. These particles usually travel through the blood without a problem, but occasionally they start sticking to the walls of the blood vessels and cause them to narrow and become less flexible. Less flexible arteries react more poorly to increased demand on the heart to pump more blood during exercise, and the whole system becomes less efficient. A good analogy is an older home with copper or cast-iron plumbing. Over time, often decades, the small particles in drinking water build up in the pipes and the water at the faucet doesn’t flow very fast. The same type of thing occurs in the blood vessels over time, often decades. In addition to poor diet, a number of other things increase risk for CAD, inclusive of high cholesterol, high blood pressure, smoking, second-hand smoke, diabetes, a family history of heart disease and growing older. Obviously growing older and family history is unpreventable, but there are many things that can be done to help prevent these risk factors from affecting you. It is important to know the signs and symptoms of heart disease, and to know what to do about it. Please read this informational booklet from the Centers for Disease Control. An abdominal aortic aneurysm (AAA) is a weakened area of the aorta below the kidneys. With this weakening, blood pressure causes the expansion of blood vessels to unsafe levels and the expansion continues until the blood vessels eventually rupture. The expansion occurs in a localized area, not throughout the length of the blood vessel. The signs and symptoms of an abdominal aortic aneurysm may not be evident, and the course of disease varies among individuals. Some people with an abdominal aortic aneurysm have no symptoms at all. Others may have a pulsating feeling near the navel or may experience abdominal, chest or back pain. The complications of an abdominal aortic aneurysm can be life threatening. The complications include blood clots, hypovolemic shock, internal bleeding, stroke, rupture of the aneurysm, and organ failure. Seek immediate medical care (call 911) if you have blush lips and fingernails, cold skin, confusion, loss of consciousness, nausea, vomiting, rapid breathing, shortness of breath, rapid heart rate, or abdominal/pelvic pain that is severe, sudden, persistent, or constant. There is no exact cause for abdominal aortic aneurysm, but there are a number of risk factors that have been shown to be common with people suffering from AAA. These risk factors are older age, being Caucasian, high blood pressure, high cholesterol, being of the male gender, smoking, and atherosclerosis. The risk of an abdominal aortic aneurysm occurring is decreased with regular exercise, maintaining blood pressure, a healthy diet (especially focusing on low fat and cholesterol), and ceasing smoking. Options for treatment are influenced by the location of the aneurysm, the size of the aneurysm, whether the aneurysm has leaked or not, and other health concerns of the patient. Some of the common treatments include blood pressure management, control of risk factors, regular observation, or surgical repair of the aneurysm. With the rupturing of an aneurysm being so dangerous, it is important to detect an abdominal aortic aneurysm early. Be sure to make an appointment with your physician soon if you are at risk. Heart failure, also known as congestive heart failure (CHF), is a condition or a collection of symptoms in which the heart isn't pumping enough blood to meet the body's needs. Heart failure can develop suddenly, but it usually develops slowly after an injury to the heart. Some injuries may include a heart attack, too much strain on the heart due to years of untreated high blood pressure, or a diseased heart valve. Coronary artery disease, heart attack, diabetes, family history of heart disease, and cardiomyopathy are other risk factors for CHF. Sometimes CHF can affect only the right or left side of the heart; however, it more often affects both sides equally. There are two types of CHF. When your heart cannot pump the blood out of your heart very well it is considered systolic heart failure. When your heart muscles are stiff and do not fill up with blood easily it is called diastolic heart failure. Both types mean there is not enough oxygen rich blood getting to your body, especially when you are active. 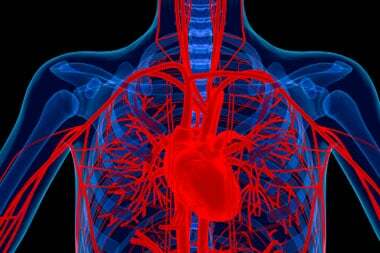 As the heart's pumping action is lost, blood may back up in other areas of the body. Fluid builds up in the lungs, liver, gastrointestinal tract, and the arms and legs. Heart failure symptoms aren’t always obvious, and some patients show no symptoms at all. Some common symptoms include shortness of breath, impaired memory, confusion, swelling of the feet and legs, lack of energy, increased urination at night, swollen abdomen, and difficulty sleeping due to shortness of breath. Diagnosing CHF may require a doctor performing a physical examination and reviewing your medical history, family history, and lifestyle. Also, your doctor may order one or several diagnostic tests, depending on the patient, including echocardiogram, electrocardiogram, blood tests, chest x-ray, exercise test, or cardiac catheterization. 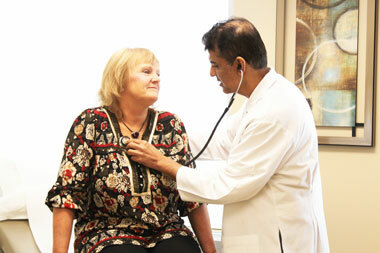 If you have heart failure, your doctor will monitor you closely. Knowing your body and the symptoms that your heart failure is getting worse will help you stay healthier and out of the hospital. At home, watch for changes in your heart rate, pulse, blood pressure, and weight. Weight gain, especially over a day or two, can be a sign that your body is holding onto extra fluid and your heart failure is getting worse. Talk to your doctor about what you should do if your weight goes up or if you develop more symptoms. Limit how much salt you eat. Your doctor may also ask you to limit how much fluid you drink during the day. Some methods of prevention are to stop smoking, stop drinking alcohol, reduce salt intake, and exercise. Peripheral Artery Disease is a circulatory problem where fatty and calcium deposits accrue inside the walls of the arteries in your limbs. As a result, the passageway in which the blood flows is narrowed. Overtime the quantity of blood traveling through the narrowed region may be decreased, depriving the receiving muscle of due oxygen. The oxygen-starved muscle then causes pain to the patient, commonly occurring in the lower legs. Naturally, a muscle’s need for oxygen increases with activity, hence why walking often exacerbates the pain in a patient with PAD. Another common side-effect to diminished blood supply in your legs is a faint pulse typically palpated in the inside of your heel. There are several factors that may be contributing to your leg pain; PAD is only one of the possibilities. Only a physical consultation with the aid of a few diagnostic imaging tests like an arterial Doppler, will help your physician determine the exact cause of your leg pain. The treatment for Peripheral Artery Disease varies depending on symptoms, location, and severity. A good rule of thumb for prevention of PAD is a healthy and balanced diet. Smoking advances the presence of PAD, therefore cessation is strongly recommended and beneficial. The term arrhythmia is an umbrella term for various abnormalities linked to the electrical conduction of the human heart. Generally speaking, there are two categories from which others arise. 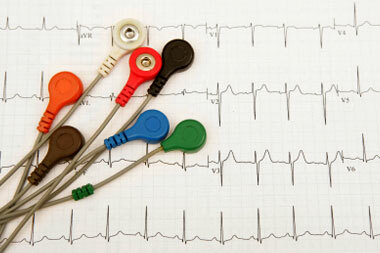 During an arrhythmia, the heart rhythm strays from it's normal beat. Signs often include rapid heart beats called palpitations, irregular heart beats, or long pauses between beats. Arrhythmia's require the attention of a healthcare professional because they can often interrupt the flow of blood outside and within the heart. In order to understand the gravity of an arrhythmia, the intricate electrical pathway of the heart must first be understood. Every heart contraction occurs due to the movement of a tiny circuit that moves within the heart from the top to bottom. The heart contraction results in blood being pumped to various parts in and out of the heart. A special group of cells called the sinoatrial node (SA node) located near the top chamber of the heart (right atrium) fires a signal from the top right chamber to the top left chamber (left atrium). As the signal moves from one end to another, the heart muscle is contracted and blood is pumped out of the atrial chambers. This blood is collected in the lower chambers of the heart known as the right and left ventricles. As the initial electrical signal runs it course through the top chambers, it gathers in another group of specialized cells located some distance below the SA node. This group is called the atrioventricular node or AV node. A short pause is taken by the signal at the AV node and then fired once more. Once the signal is fired again, it travels down a branching path that runs down the tissue wall that divides the left and right lower chambers. This path is known as the bundle of his. As the electrical impulse travels down the bundle of his, the impulse is spread out through branches that force the ventricle walls to contract. This contraction causes blood to pump out into the body and lungs. After the signal is dispersed through the bottom ventricles, the SA node begins to recharge in preparation for another electrical impulse that will again be sent throughout the heart. Unfortunately this conduction system does not always work the way it is supposed to, and the electrical impulse strays away from it's designated path. When this happens, arrhythmia's can cause the heart to beat to fast (known as tachycardia), too slow (referred to as bradycardia), or the addition of extra beats in the heart rhythm. Because an electrical impulse can be delivered at different rates to different chambers of the heart, there are many different kinds of arrhythmias. To learn more details about the different kinds of arrhythmia's, you can visit the American Heart Association website. A very simple tool in the identification of any kind of arrhythmia is an EKG. This test takes only minutes to conduct, is non invasive, and yields a visual representation of several heartbeats in a given time window. Several treatments are available and vary on the severity of the situation. Anti arrhythmic drugs are available that help suppress the rapid onset of signals fired by the electrically charged nodes. Cardiologist may also implement the use of devices that are safely implanted to regulate the heart's rhythm. Pacemakers and defibrillators are placed in pockets within skeletal muscle, then wired to heart tissue so that they may keep one's heart within normal rhythm. Pacemakers are often times calibrated to make sure the heart beats a normal 60 beats per minute while defibrillators are designed to make sure the heart returns to normal pace when the rhythm goes of course. Hypertension is the medical definition for the increased pressure that can occur inside the walls of arteries. As the heart contracts to deliver oxygen and nutrients to your body, it must force blood to move through the arteries of your body. This force applied is what is known as blood pressure. Blood pressure is measured in millimeters of mercury (mm Hg) and consists of two different measurements to make up a single blood pressure reading. The systolic number, or the “top number” as it is commonly known, is the measurement in mm Hg for the pressure applied to the walls of the arteries when the heart contracts. The diastolic reading, or “bottom number”, is the pressure measured in mm Hg after every contraction, or when the heart is relaxed. A blood pressure of 120/80 mm Hg has been long considered the ideal for most adults. Any blood pressure reading found to be within a higher range and within 140 and 160 mm Hg systolic or 90 to 100 mm Hg diastolic are considered to be within the 'Stage 1 Hypertension' range. Stage 2 Hypertension is any blood pressure reading found to be higher than 161 mm Hg systolic or higher than 101 mm Hg diastolic. Since most adults do not share similar medical histories, and some adults are not as healthy as others, this number is often altered by doctors to meet the health goals of individual patients. Despite no prior medical problems, blood pressure readings are extremely important. A variation from normal blood pressure readings can indicate the presence of an underlying health problem and they can also provide clues to patients and doctors of future health issues that may arise if not treated properly. While some people who are found to be hypertensive for no apparent reason other than aging, known as preliminary hypertension, other individuals find that their hypertension stems from other medical conditions. This kind of hypertension is referred to as secondary hypertension. Higher blood pressure readings than primary hypertension are characteristic of secondary. This increase in severity requires that the individual do as much as they possibly can to keep their blood pressure readings within an acceptable range. Those who are at higher risk of having hypertension are older adults. With age, the arteries in our bodies stiffen and harden. 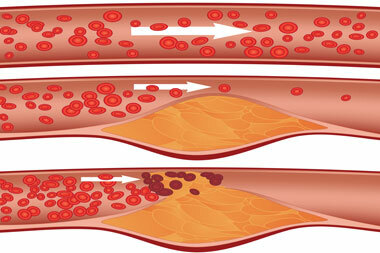 This loss in arterial elasticity results in a higher pressure on the walls of the arteries as blood is being pumped through. Overweight individuals may also find that they have developed hypertension. Due to the addition of fat tissues to the body (which require extra blood in order to sustain them) the heart must contract harder than an individual with a normal body weight. This increased force out of the heart transmits itself on the walls of the arteries supplying blood. Another very common reason for higher than normal blood pressure readings is a high sodium diet. Most individual's would not willingly adopt such a diet, but sodium is added to many of the foods we eat to make them last longer. We find these foods to have long shelf lives in pantries or freezers and are commonly served in many fast food chains. In the body, sodium prevents us from getting rid of excess fluid during urination. Since this excess fluid is stored within our vascular system, the additional volume increases the pressure within the arteries. The various sources of hypertension are not limited to only these causes. Others causes include kidney disease, tobacco abuse, hormonal imbalances and medications that are over the counter, prescribed, or illegal. If hypertension goes unnoticed, like it commonly does, it can lead to life threatening conditions. The moving force of blood in the circulatory system starts with the heart. If the arterial conditions become too hard for the heart to pump blood with ease, the heart compensates the situation be growing larger. This enlargement weakens the heart over time and limits the amount of blood that goes out to the body every time the heart beats. This enlargement is known as congestive heart failure and it is not reversible. The elastic property of arteries combined with increased arterial pressures can also provide the ideal situation for the formation of an aneurysm. Aneurysms are bubble like structures that protrude out from the walls of arteries. Their lining is not as thick as the artery from which is stems so they may rupture easily leading to large amounts of blood loss and possibly death. The largest potential threat behind hypertension comes in the form of a stroke or a heart attack. The presence of hypertension and atherosclerosis decreases the amount vasodilators that our bodies can use to not only relieve arterial wall pressure but get more blood moving with less resistance. If blood supply halts to any part of the heart due to interference, we call this a heart attack. 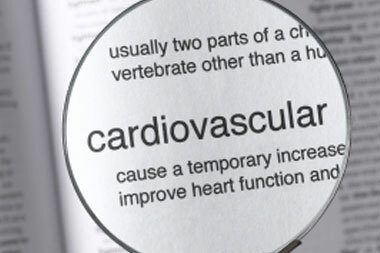 Hypertension can also catalyze the thickening of arteries from the accumulation of blood debris like fat. When this material breaks off, which can be facilitated with increased pressures, it can block the blood supply to a cerebral artery as in the case of a stroke. Despite the grave ramifications of high blood pressure, hypertension can be treated quite easily and effectively. There are several classes of drugs aimed at blocking hypertension precursors within the body while others relieve the internal stress that takes place. Regular exercise, losing weight, smoking cessation, and diet modifications paired with prescribed medications can greatly alter the prognosis for anyone diagnosed with hypertension. There are four valves in the normal heart. These are the Aortic valve, Mitral valve, Tricuspid valve, and Pulmonary valve. These serve like a doorway, controlling the blood flowing from chamber to chamber within the heart. There are many malfunctions that can occur with any one of the heart valves. Commonly known is regurgitation, stenosis, Mitral Valve Prolapse. Some valve problems can be congenital (primary) meaning one is born with it, while others may be due to injury or trauma, or may result from a flare-up of an existing disease (secondary). Regardless of the cause, the disruption of the normal valve function can ignite a sequence of new complications, Congestive Heart Failure for instance. Additionally, the natural course of blood flow is likely to be disrupted since one of the functions of the valves is to regulate blood flow. Experiencing Rheumatic fever in childhood may result in a highly calcified mitral valve. The mitral valve opens to release blood from the left atrium to the left ventricle. A highly calcified mitral valve however, may harden or lose mobility and thus may not open completely, resulting in the left atrium not emptying completely. This may mimic a ‘backup’ of blood in the left atrium and over time begin to dilate. One of the physical symptoms often noticed with this problem is shortness of breath. This is because the blood leading into the left atrium comes from the pulmonary veins which carry oxygenated blood from the lungs. The above mentioned example is not all-inclusive and only one of the many forms a calcified mitral valve may become problematic. Your physician may order an Echocardiogram to assess the status of a suspected valve disorder. Please note that there are a plethora of valvular heart conditions. The human brain can arguably be considered to be the most sophisticated piece of machinery within the human body. It not only coordinates physical movement, it also takes an active role in human emotion. With physiological and psychological responsibilities, any level of damage sustained by the brain can result in permanently debilitating effects. Injury often comes in the form of a stroke. A stroke halts the delivery of blood flow to cerebral tissues. Receiving a continuous flow of blood is vital to the human brain because it receives its supply of oxygen through the circulatory system. Aside from oxygen, it requires a constant supply of sugars through which chemical reactions are powered. A stroke can come in three different forms. Ischemic strokes are characterized by the complete occlusion of an artery that supplies blood to a region of the brain. This occlusion can be due to build up that has accumulated on the wall of an artery or by a blood clot that has formed elsewhere and has traveled up to the brain through the circulatory system. The second class of stroke is more prevalent in stroke cases recorded amongst Americans. These cases involve an artery located in the brain that has become weakened overtime. Arterial wall damage often is the result of untreated hypertension. When arterial walls sustain constant force from high blood pressure, fractures can form and leak blood out into the brain tissues. Aneurysms that bulge out from arteries may also form when walls develop weak spots. These aneurysms may suddenly burst and deprive distal brain regions from getting the oxygen they need. Less severe, but just as important, is transient ischemic attack or 'mini stroke'. Like an ischemic stroke that blocks an artery with a foreign object, a mini stroke works through the same mechanism with one exception. Mini strokes are short lived because obstruction only lasts minutes before blood flow is restored. Permanent damage is not a factor with mini strokes but this does not mean that they should be dismissed. They are often signs that an ischemic stroke may be lurking. Hypertension- Constant high blood pressure can damage and thin arterial wall linings. Smoking- Cigarettes harden arterial walls which can lead to breaks and cracks of artery walls. Hyperlipidemia- Increased levels of cholesterol in the blood stream lead to plaque build up in arterial walls. If this build up breaks off, it can travel in the blood stream until it comes to a narrowed artery and completely blocks all flow. These are just a few of the risk factors that can lead to stroke. More information on these and others can be found on the American Heart Association website. While not everyone will show the same symptoms when they are having a stroke, the different types of symptoms are easily identifiable. Signs and symptoms may include body and facial paralysis on one side of the body. When the brain sustains an ischemic injury, the part of the brain that has been affected can no longer properly regulate function of that part of the body for which it is responsible. Simple bodily movements like walking are greatly affected. A person having a stroke can quickly lose the ability to stay on their feet. Since motor and verbal capabilities are functions of the brain, speech skills can also be compromised during a stroke. Slurred speech and inability to properly express in words what is happening at the moment is also a typical sign of stroke. 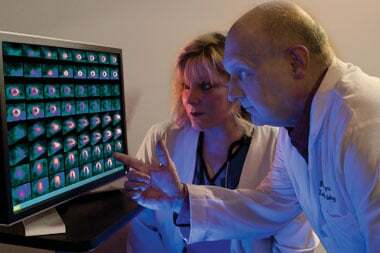 Immediate medical treatment is key to the prognosis of stroke victims. The longer the affected region of the brain goes without oxygen and nutrients, the less likelihood that that region will retain proper function. Since brain cells begin to die moments after a stroke, it is imperative that immediate action be taken and that person be treated. Urgent medical care can be the defining factor between life and death.